Corsairs | Warbird. Ultralight. Squadrons forming here. 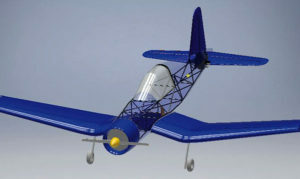 …a factory finished, ready-to-fly Ultralight aircraft that embodies the spirit of WWII-era Chance Vought F4U Corsairs, right down to the blunt cylindrical engine cowl, sliding cockpit canopy and inverted gull wings. 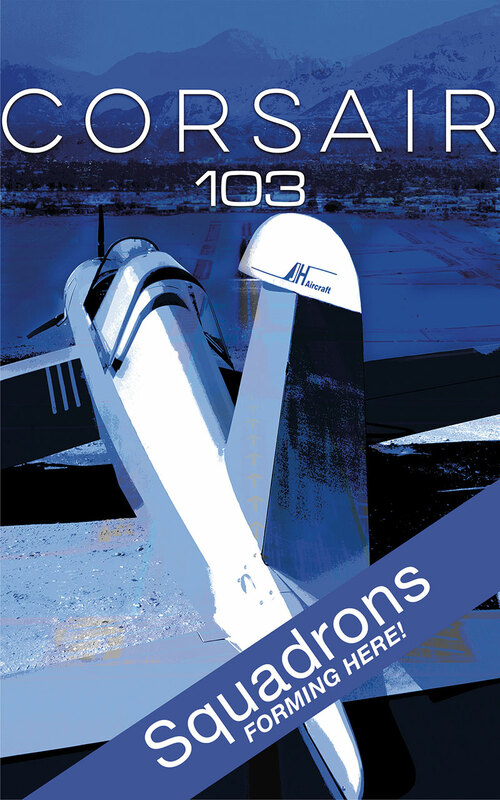 Imagine an adventure-ready carbon fiber composite airframe, wings and tailfeathers with a fully enclosed fuselage, light enough to qualify within the Part 103 specification. A 4-stroke, 3-cylinder radial engine sits up front making classic airplane noises. The entire package comes in under 254 lbs. 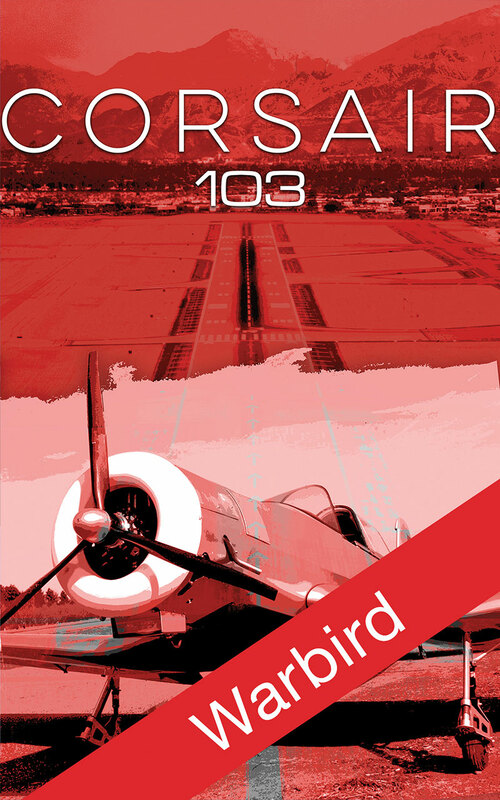 Imagine your own personal warbird. This one is economical to fly and does not even require a pilot’s license. 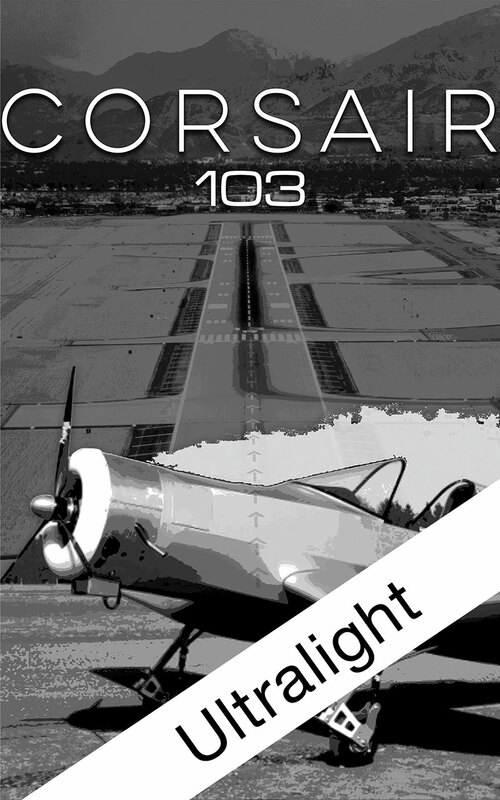 Imagine the sky full of squadrons of CORSAIRs, the factory-complete Part 103 Ultralight that finally breaks the pattern of DIY, kit-built and open-fuselage craft that have up until now dominated this lightweight form of recreational flying. The CORSAIR’s fuselage is an Oratex-covered carbon fiber composite spaceframe (see illustration), with a Kevlar carbon safety cell surrounding the pilot. Wings and empennage are also fully manu- factured of carbon fiber reinforced plastic (CFRP). Individual components are joined with CFRP windings so that each joint is at least as strong as the components it joins together. The low, inverted gull-wing design looks great, but more importantly, it has the advantages of low interference drag between wing and fuselage, shorter and sturdier landing gear as well as an ideal landing gear position which facilitates a nearly perfect angle for take off and landing. One result of the careful and innovative design is the CORSAIR’s +9g and -6g tested load strength. The CORSAIRs are powered by a 4-stroke, 3-cylinder Verner Motor Scarlett 3VW. This is a direct-drive radial engine generating maximum continuous power is 34 bhp and maximum torque is 91 foot- pounds. 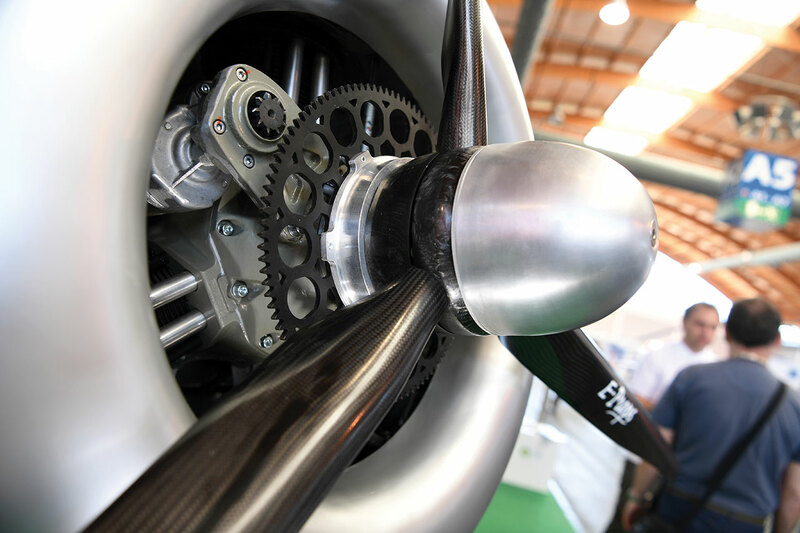 The propeller is a power matched, ground adjustable, 3-bladed Hi-Tech Carbon Propeller by E-Props, capable of producing up to 220 pounds of static thrust. CORSAIRs are able to accommodate a wide range pilot sizes in comfort. The ergonomics have been optimised to be suitable for pilots ranging from 5ft 4” to 6ft 8” in height and various body dimensions. The inner cockpit width is 23.6 inches. The seat is adjustable in four length/height positions. The incline is independantly adjustable in 11 positions. The Corsairs feature a classic tailwheel configuration. The fixed main landing gears are located at the wings and due to the wing shape are short and quite aerodynamic. The cantilevered main wheel attachment together with hydraulic springs and dampers is great for grass strips and the occasional less than perfect landing. 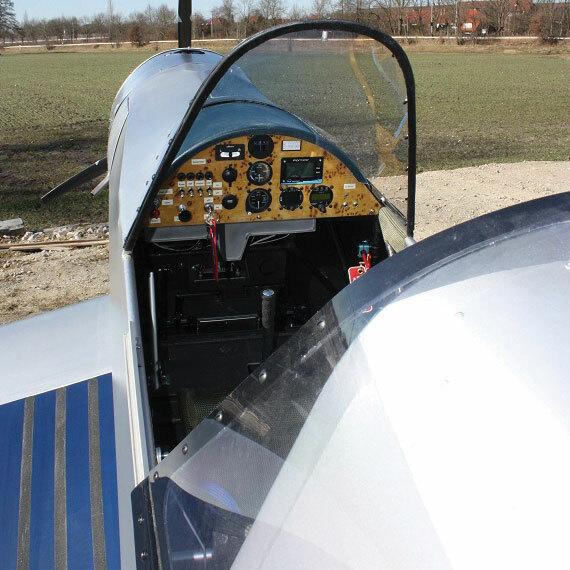 The tailwheel is connected with the rudder by means of a GFRP spring and allows good ground handling. Even the tail wheel is on a cantilever and has an elastomeric spring and damper. CORSAIRs are manufactured in Hamburg, Germany. The project is an on-going collaboration between JH Aircraft GmbH, the University Hochschule21 and the aerospace Engineering company AMM Enterprise GmbH. JH Aircraft GmbH is responsible for the development, certification, manufacturing and commercialization of the Corsair. The University Hochschule21 supports the project with structural tests and with the molds for serial production. AMM Enterprise GmbH supports the development with experienced aerospace design and stress engineers. • Whole Plane Recovery: Installed GRS whole-plane ballastic parachute. • Fuselage: Carbon tube space frame, CFRP-Kevlar-hybrid safety cell and seat, seat position and tilt angle fully ground adjustable, sliding canopy, Oratex cover. • Wing: CFRP spars and ribs, sandwich torsion box, combined flaps and ailerons (flaperons), tie-down cutouts optional, Oratex cover. • Empennage: CFRP structure, rudder aerody- namically balanced, elevator aerodynamical- ly and mass balanced. • Landing Gear: Two cantilevered main wheels 400-4 with spring and damper units, aerodynamic aluminum profile struts, hydraulic disc brakes with separate actuation, steerable tail wheel with elastomeric spring/damper. • Controls: Flaperon and elevator control by pushrods, adjustable control stick, rudder control by steel cables, rudder pedals adjustable. • Propulsion: 3-cylinder radial engine Verner Scarlett, 4-stroke, including electric start, generator, 2-blade ground adjustable CFRP-prop, aluminum spinner, 5-gallon fuel tank. • Avionics/Electrics: GFRP panel with altimeter, airspeed indicator, bank indicator, compass, oil pressure, oil temperature, tachometer, 12V and USB sockets, aircraft grade wiring, automatic circuit breakers, LiFePo-battery. SportairUSA is the distributor of CORSAIRs in the U.S.
Click for a brief update on progress from Hamburg. Our first Corsair will arrive this summer! SportairUSA, LC, serves aviation clients from its 25,000-square foot facility at KORK airport, North Little Rock, Arkansas. We are the US distributor for Corsairs, Z-FLOATS, Zlin Savage aircraft and TL Sting and Sirius aircraft. 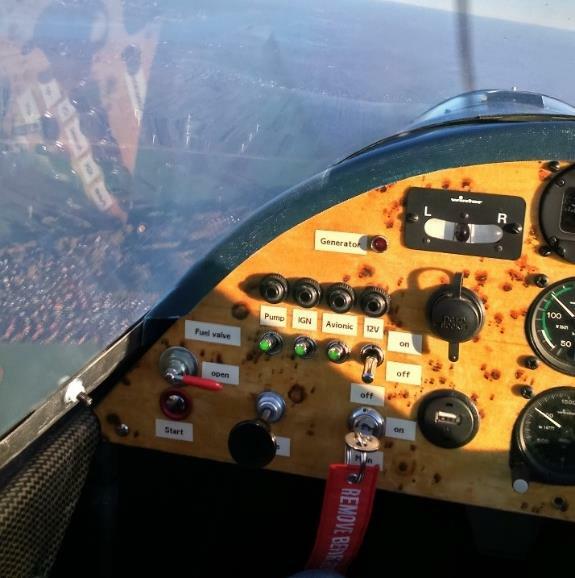 The company has provided sales, production and repair services for over 20 years, is an FAA certificated repair station & stocks over $300,000 in parts for our customer’s aircraft.